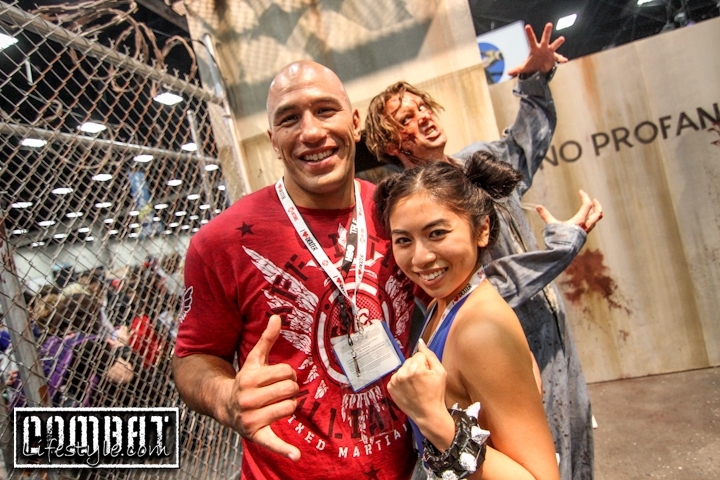 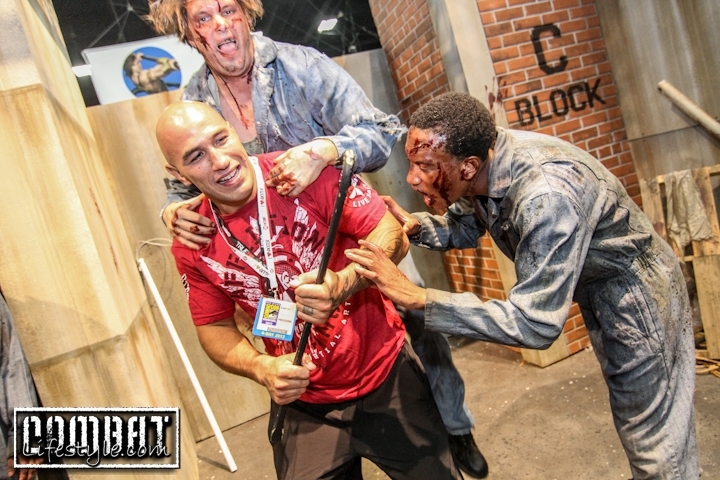 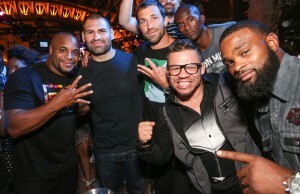 By the title, Brandon Vera Walking Dead Zombie Attack, you can’t tell who attacked who, right? 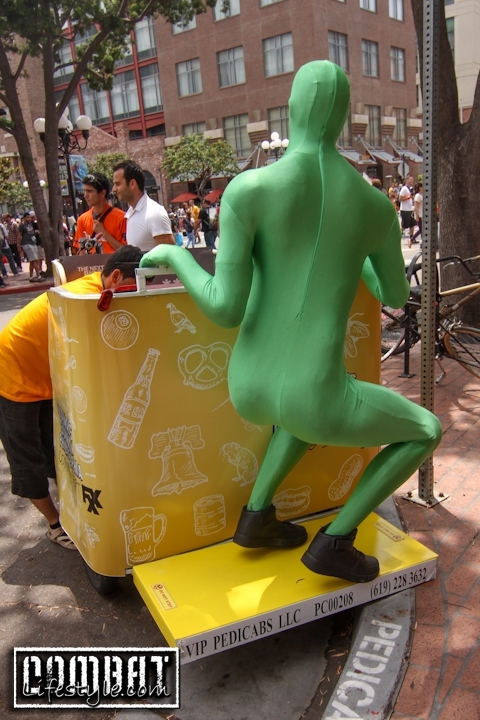 We are still trying to decide. 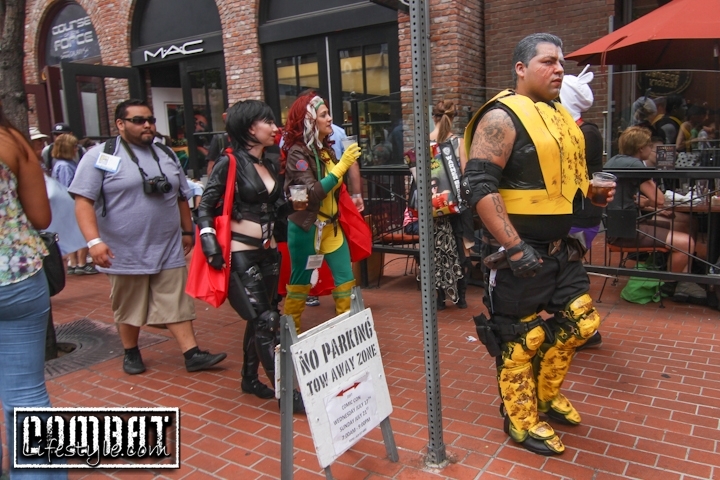 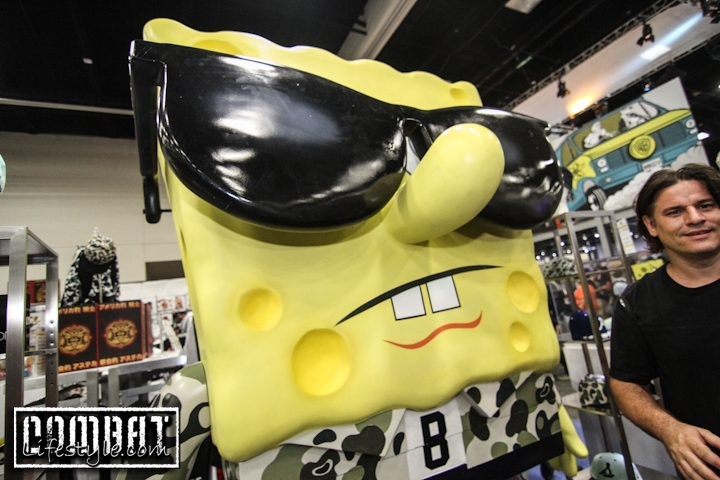 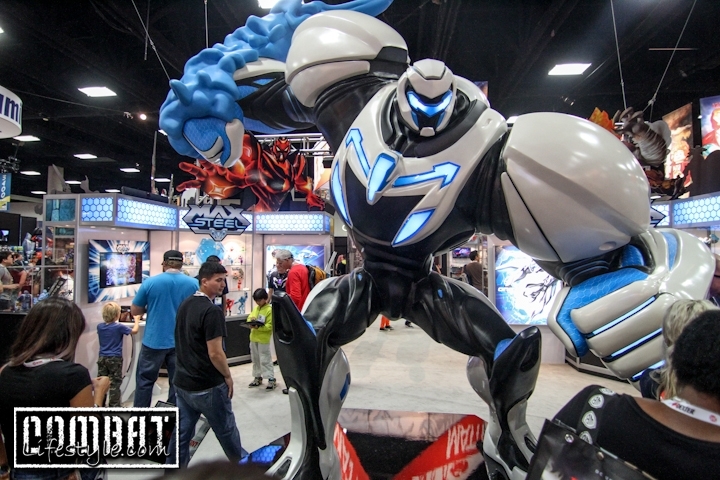 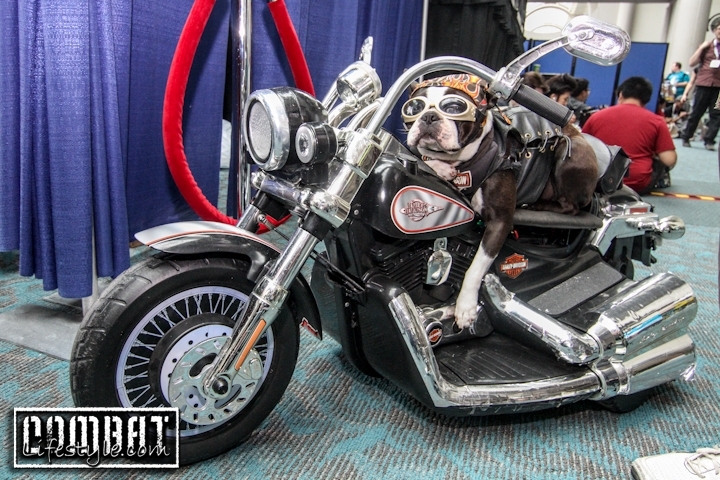 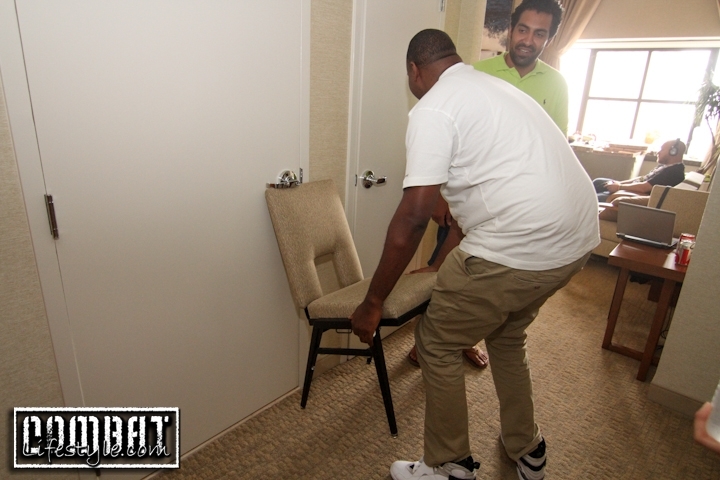 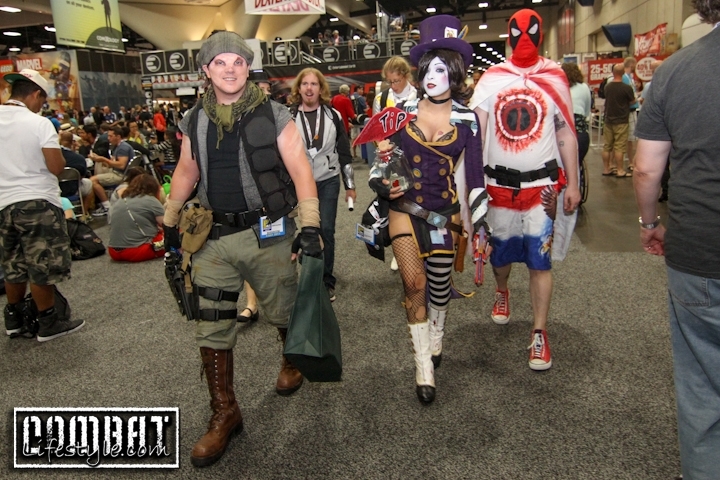 Combatlifestyle made it’s yearly pilgrimage to San Diego for its Annual Comic Con event. 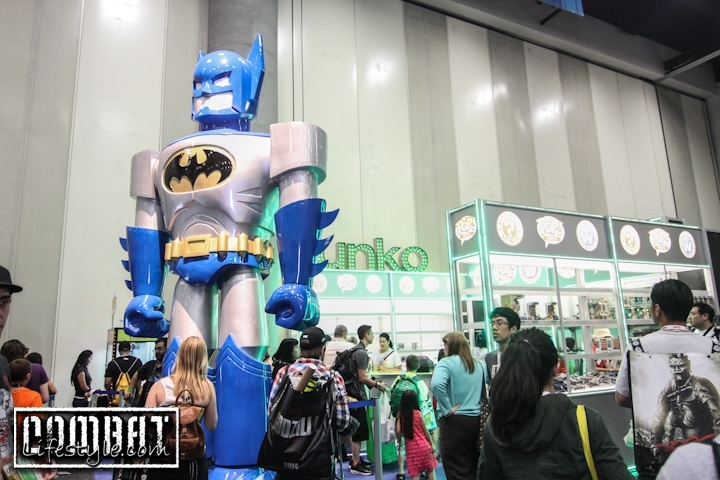 For those of you who have yet to experience it, can we just tell you it’s UNREAL and every geek and nerds’ heaven?? 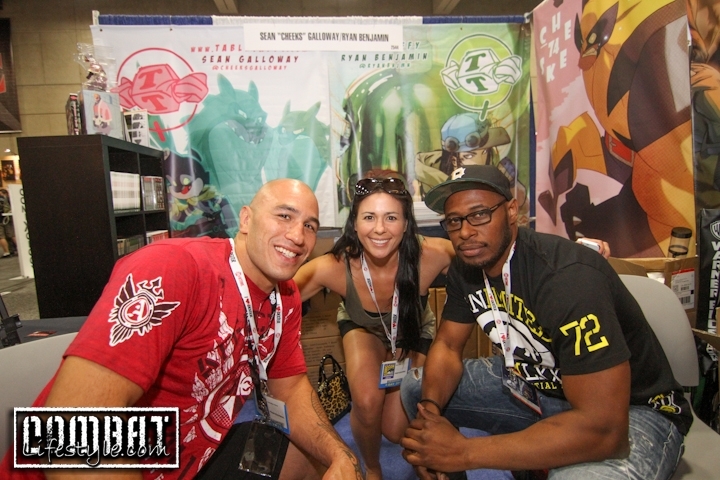 We chose to only hit the convention on Friday with Brandon and Kerry Vera although Brandon was signing both Friday and Saturday. 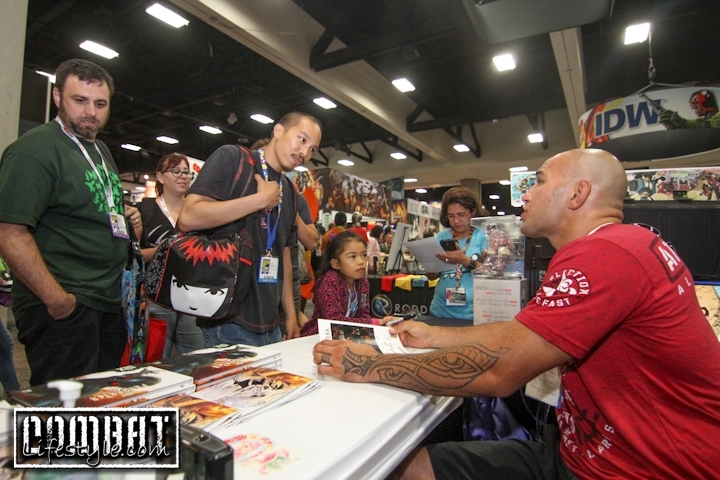 He signs each year at the booth of renowned comic book artist, Ryan Benjamin. 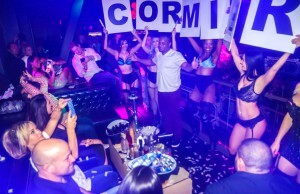 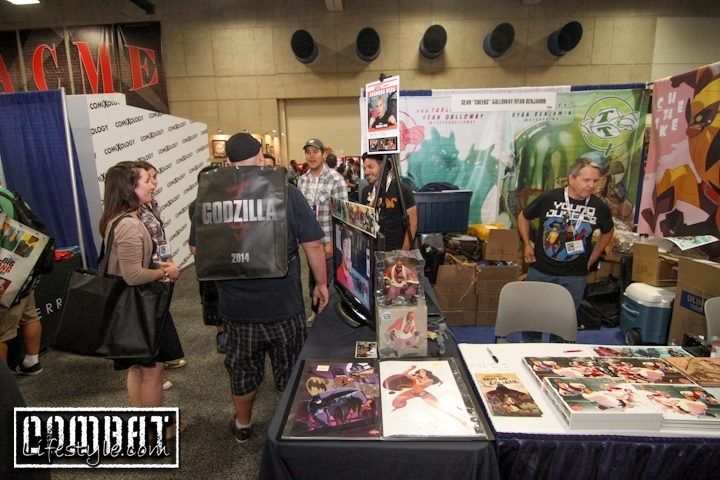 But he only signs for about an hour and the rest of the time is for him to wander the show and “geek out”. 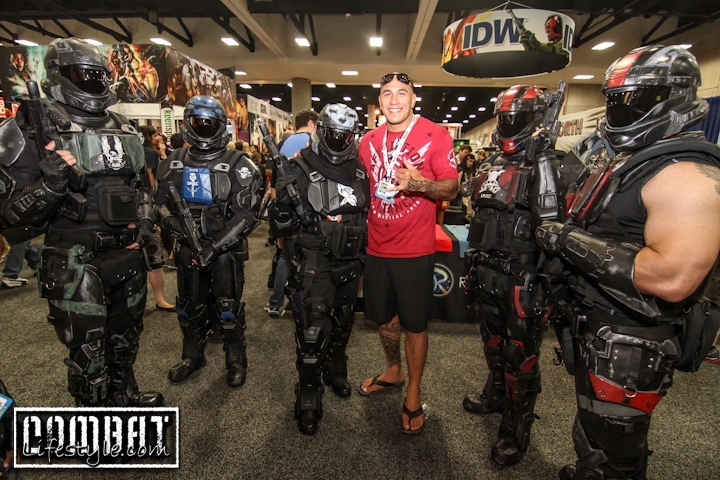 You would think that the worlds of comics and games are so far separated from the world of MMA, but as we walked through the event Brandon got stopped for photos and pictures on a very consistent basis. 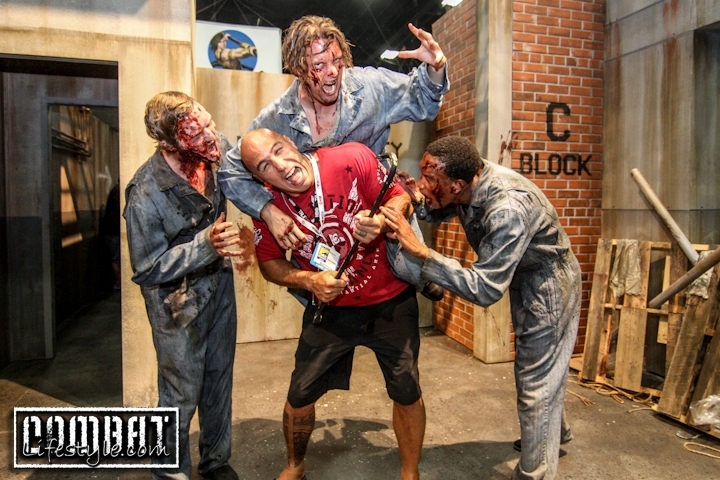 One of their favorite stops of the day was to the Walking Dead booth where the zombies were pretty brave to jump on this UFC fighter’s back. 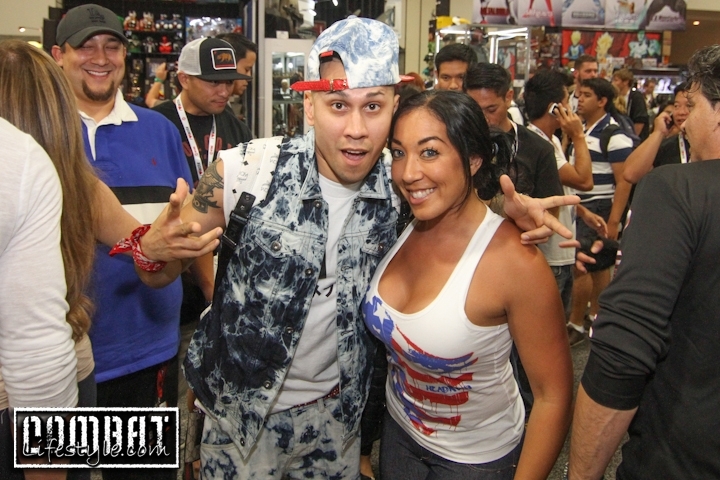 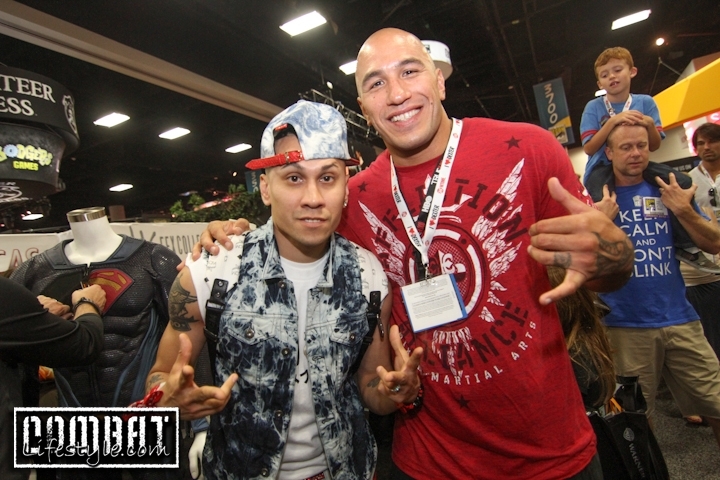 And as we headed back to the booth for him to start signing, we ran into none other than Taboo of the Black Eyed Peas who was walking the show with his entourage. 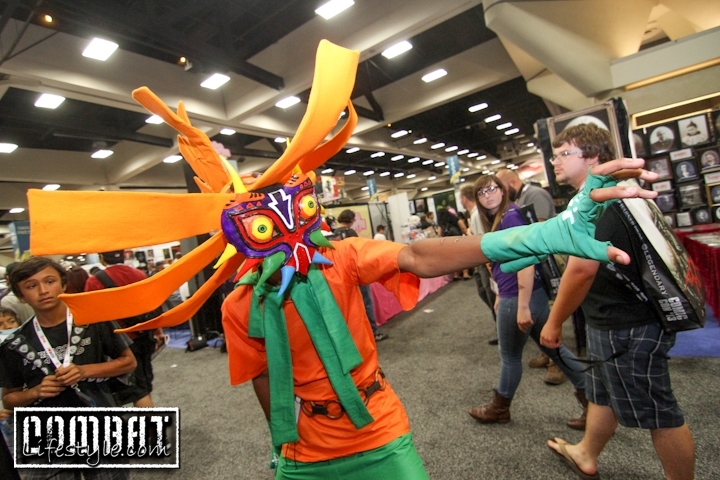 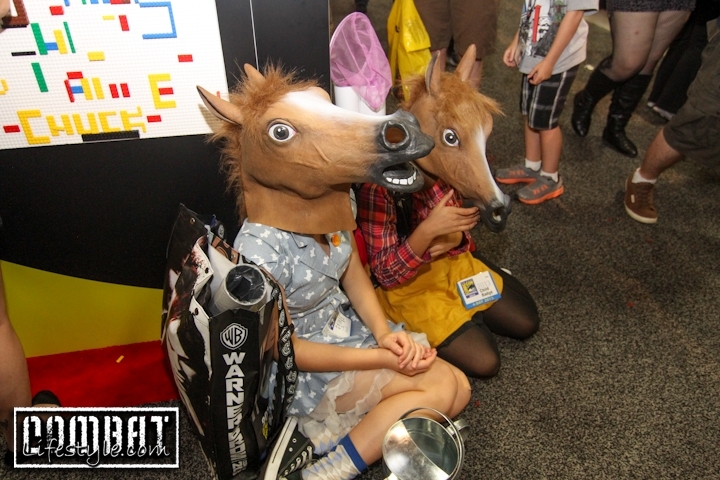 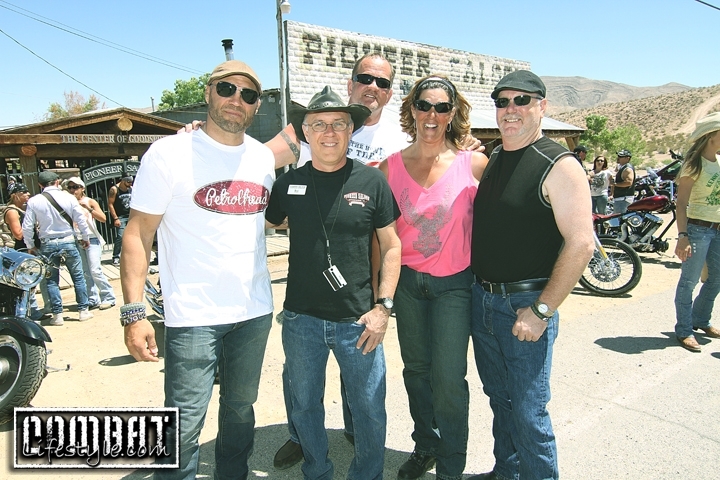 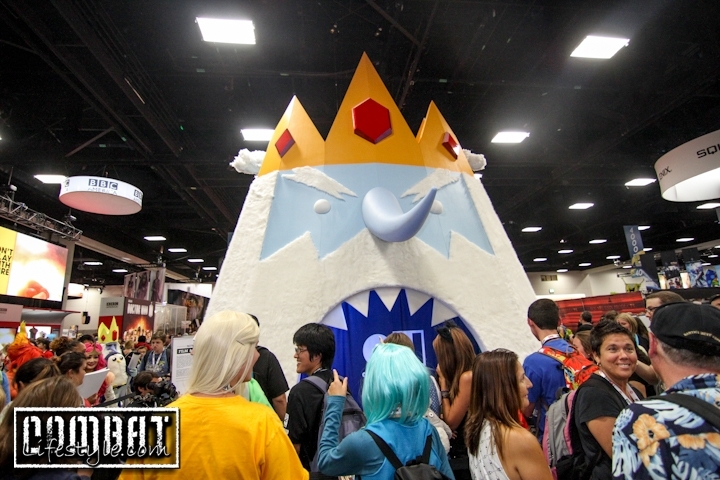 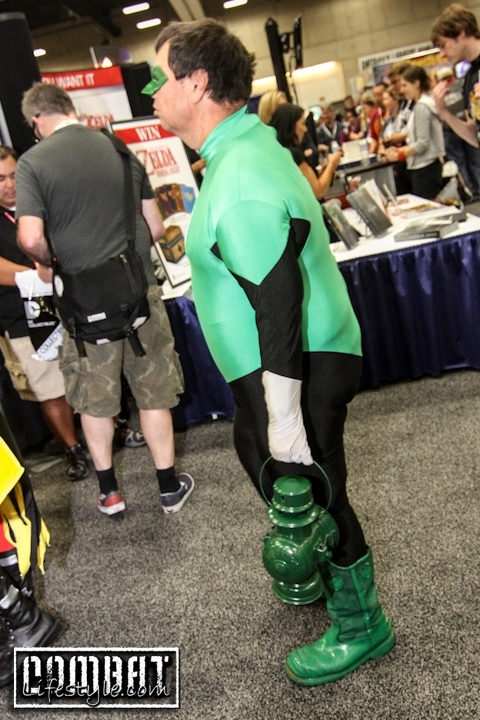 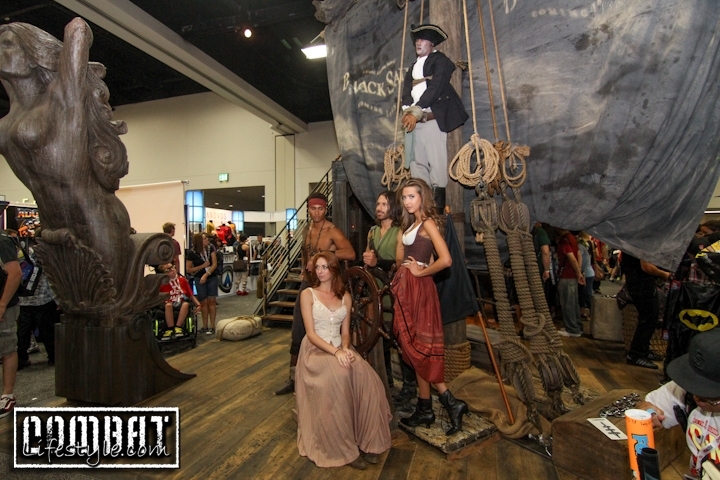 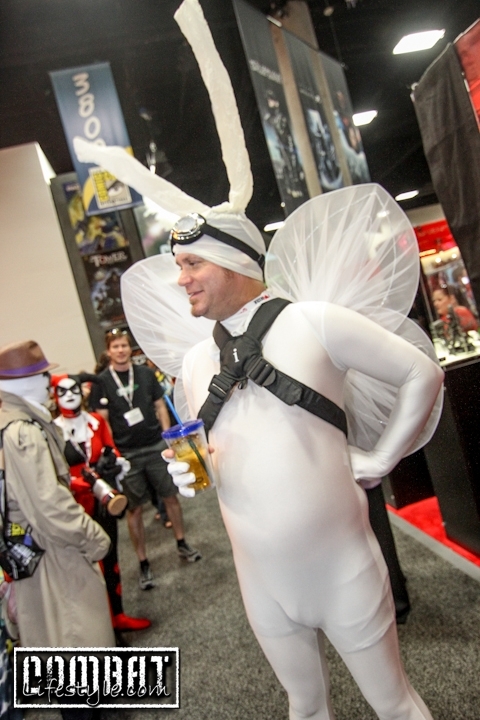 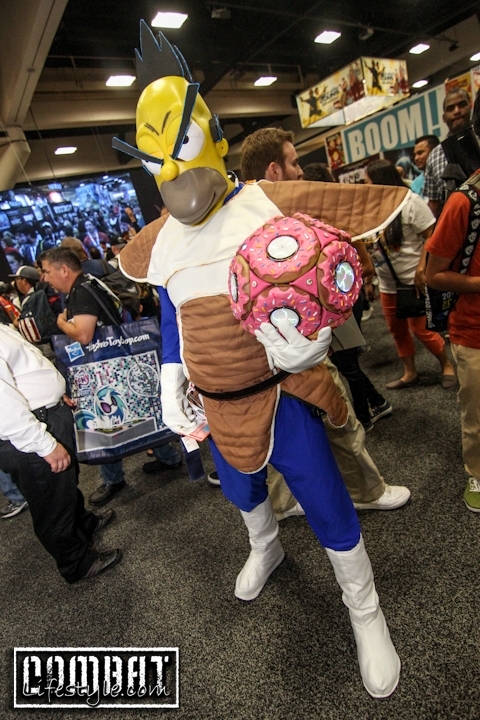 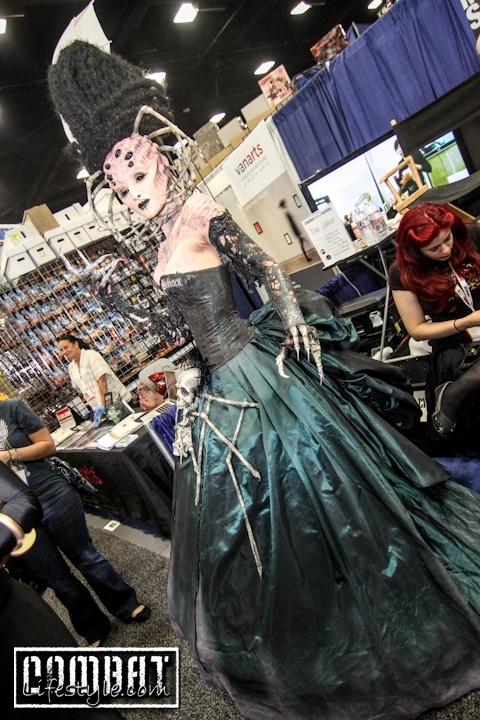 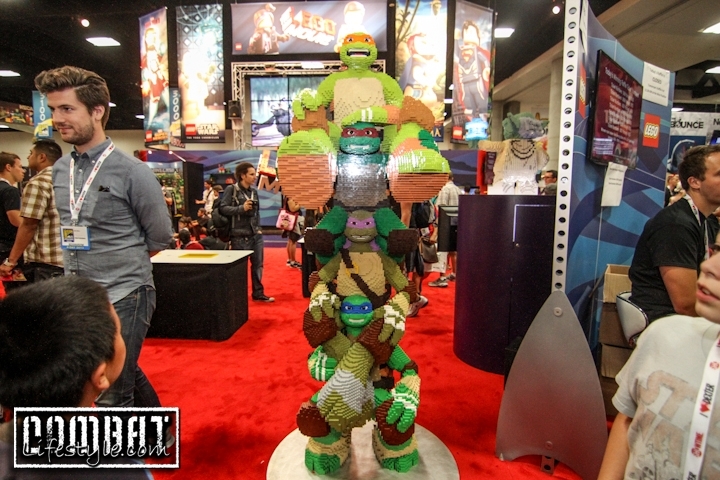 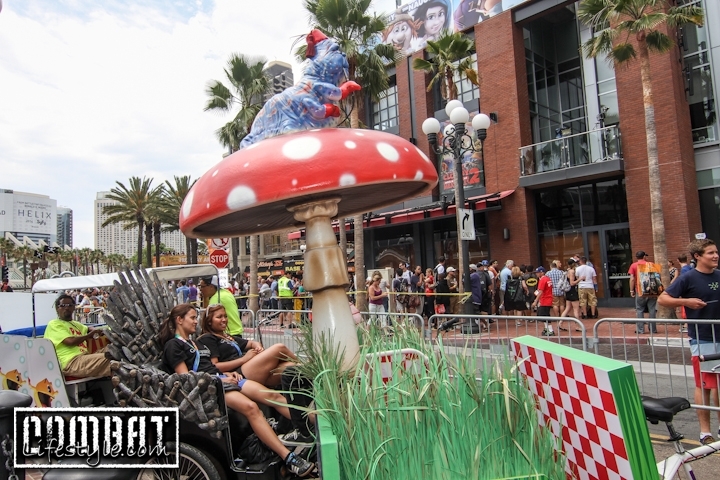 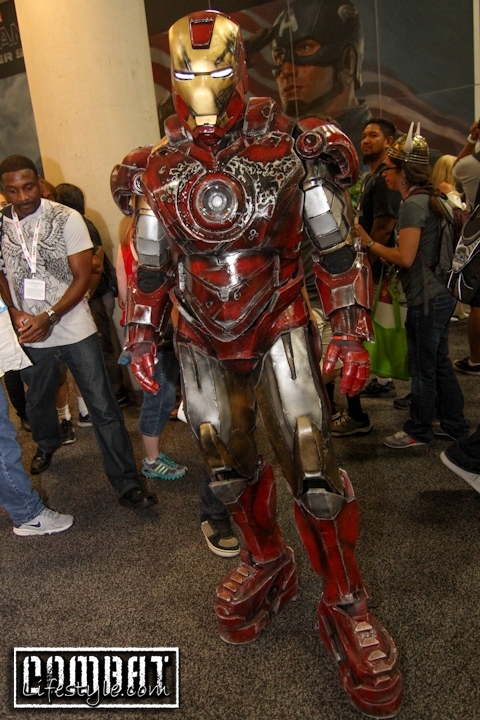 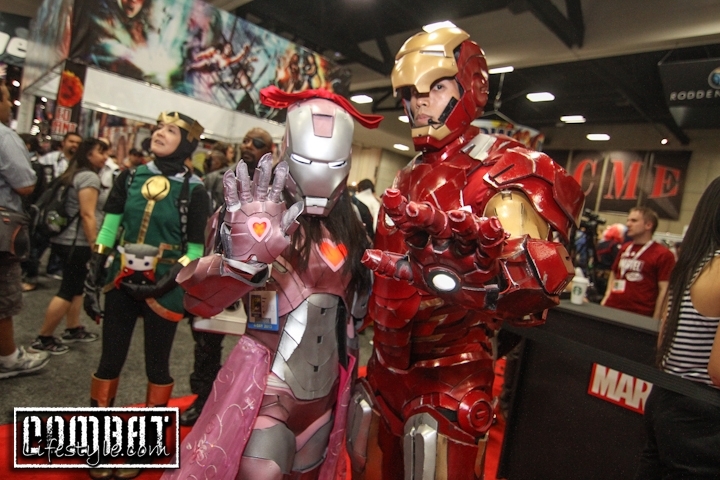 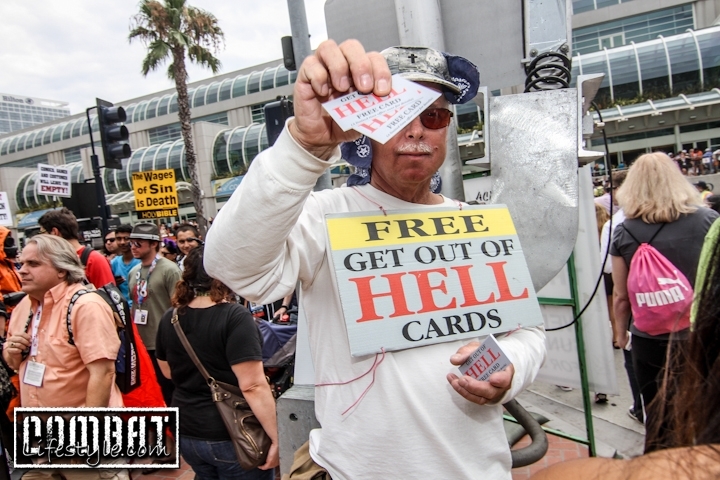 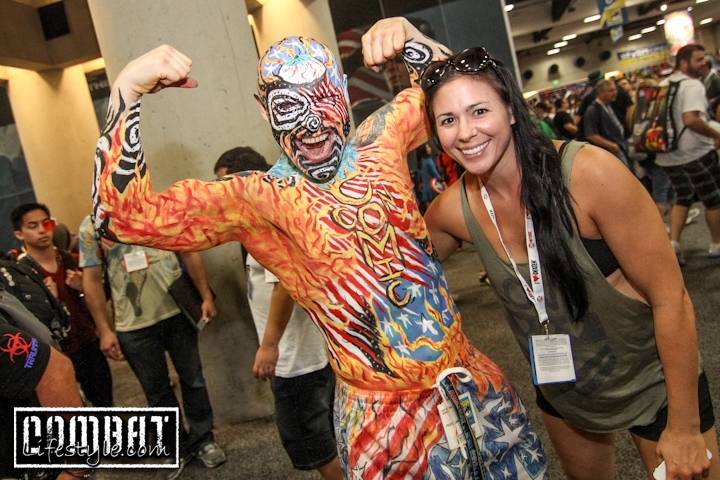 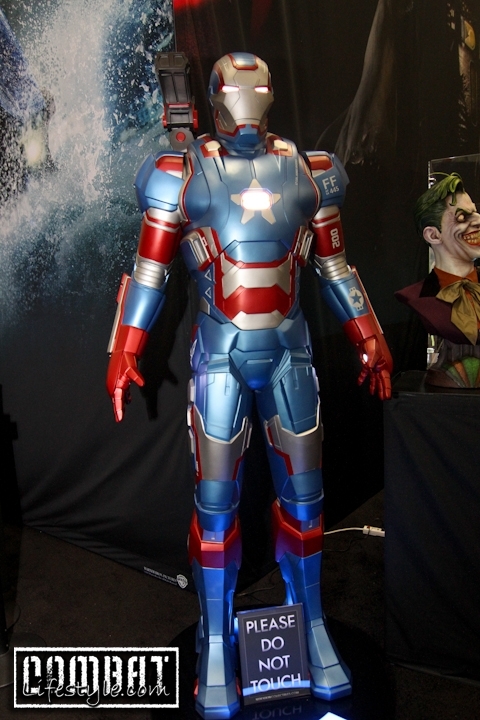 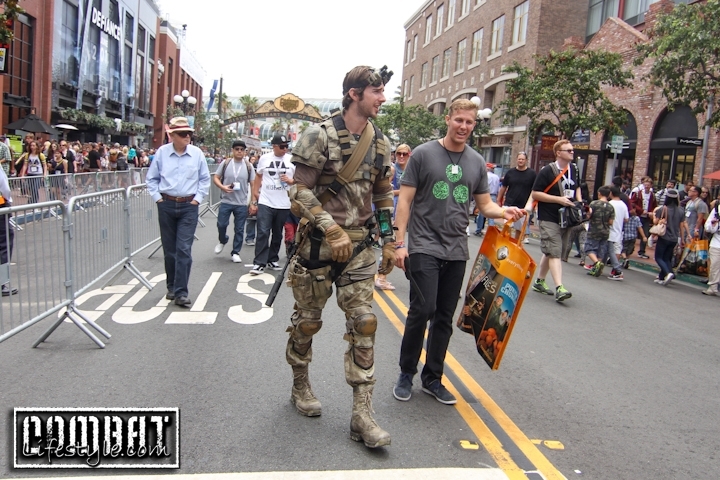 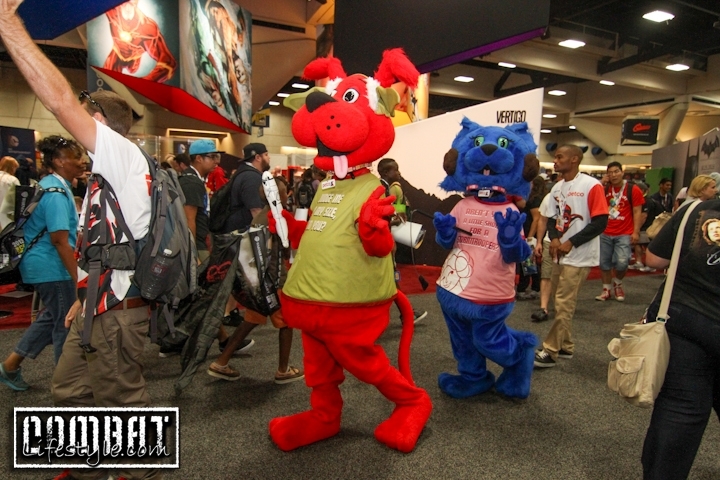 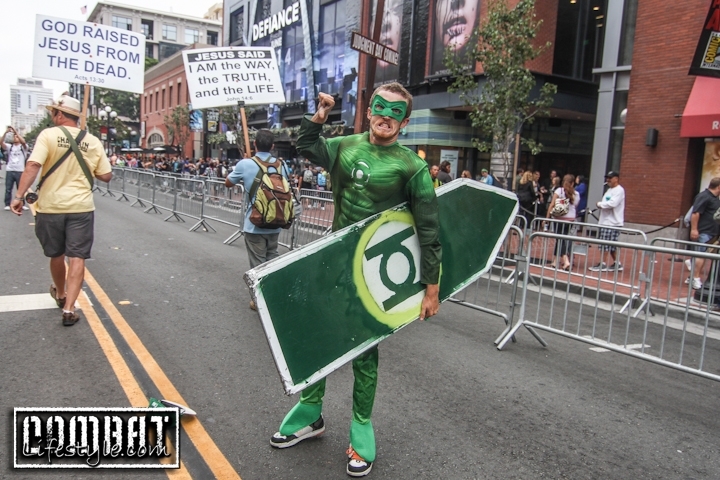 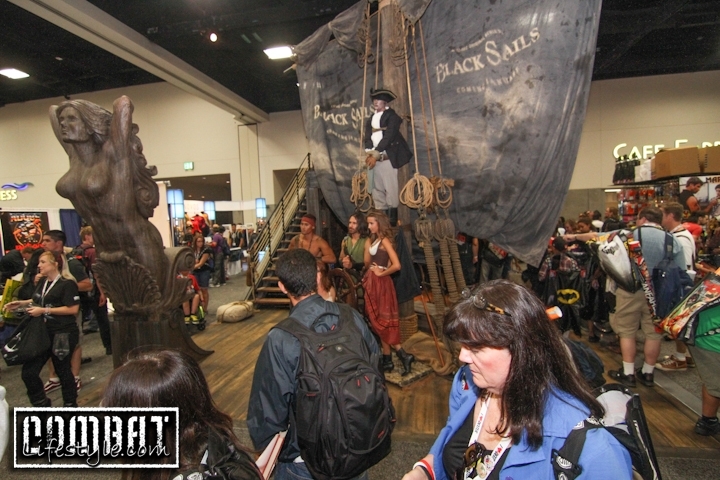 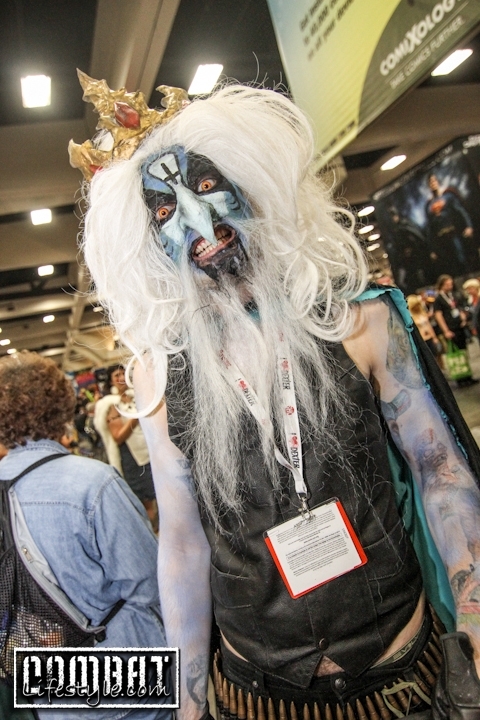 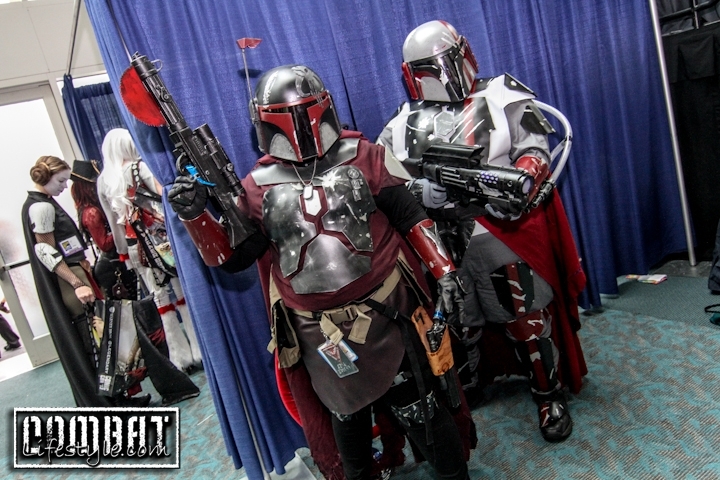 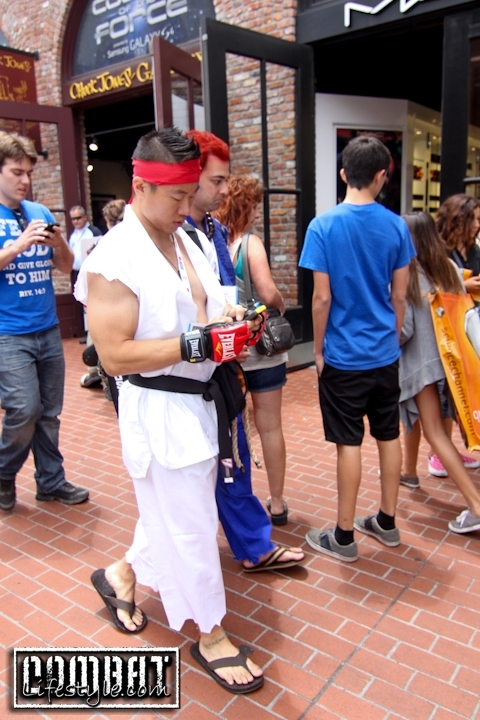 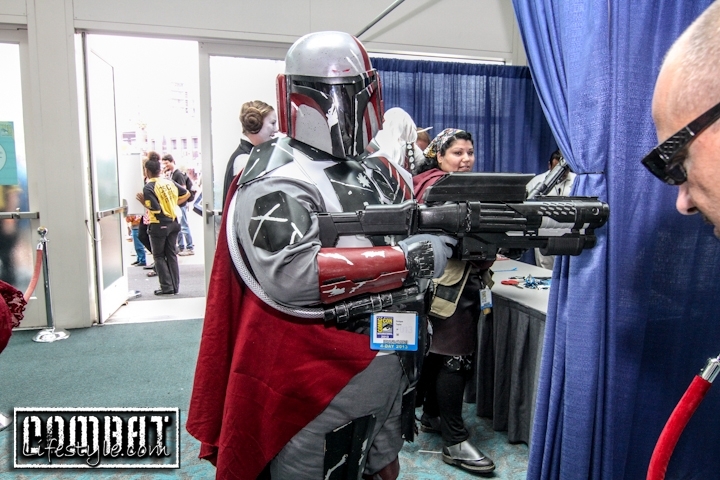 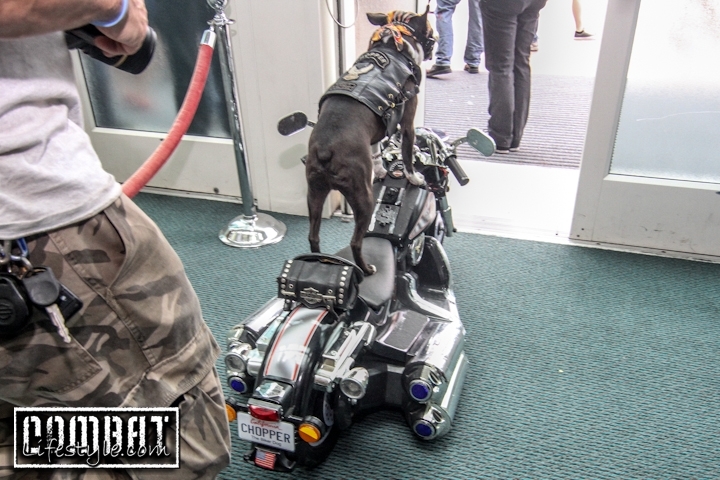 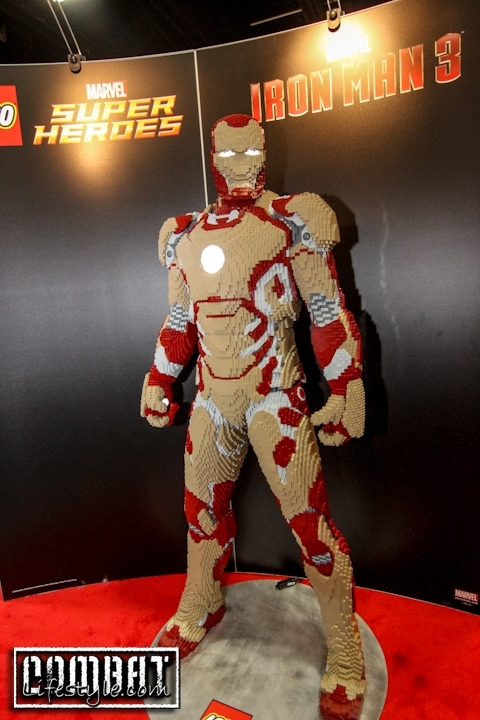 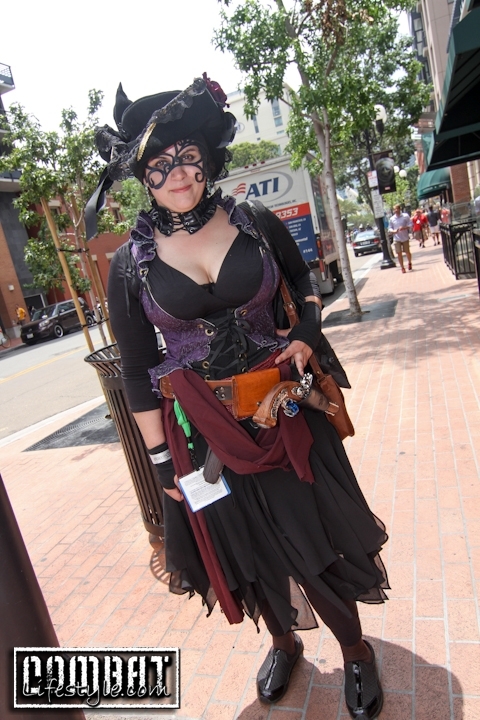 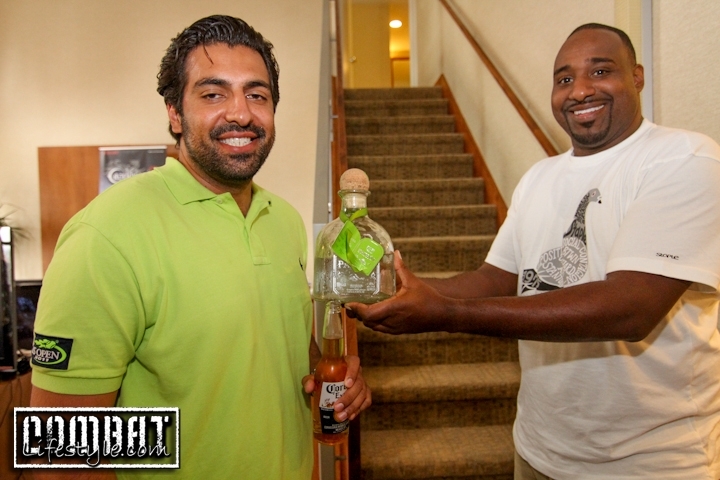 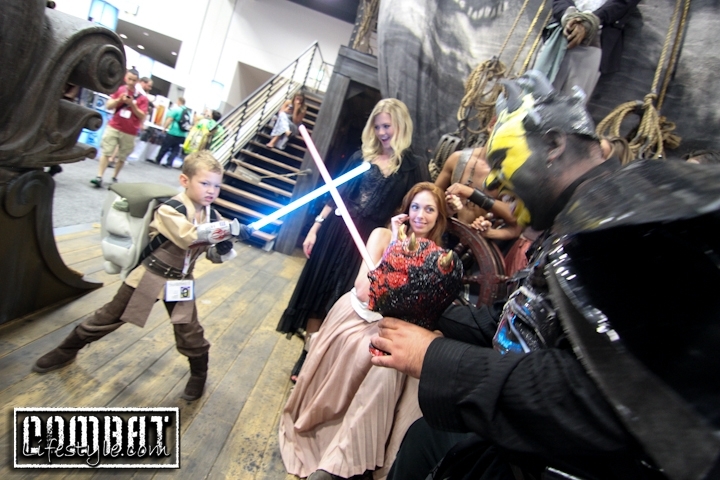 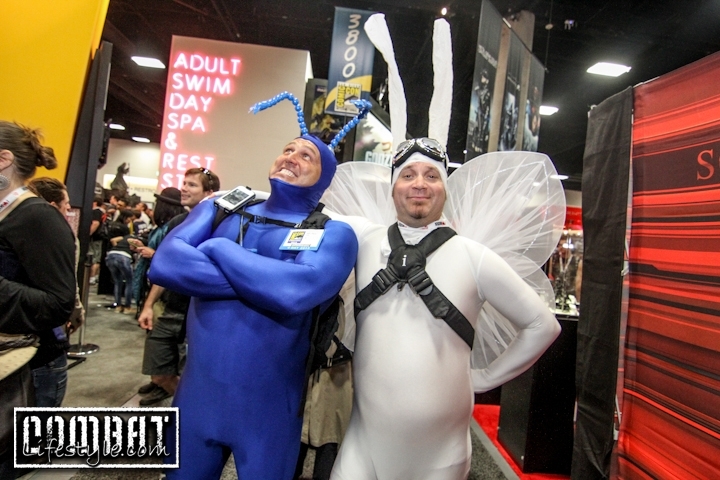 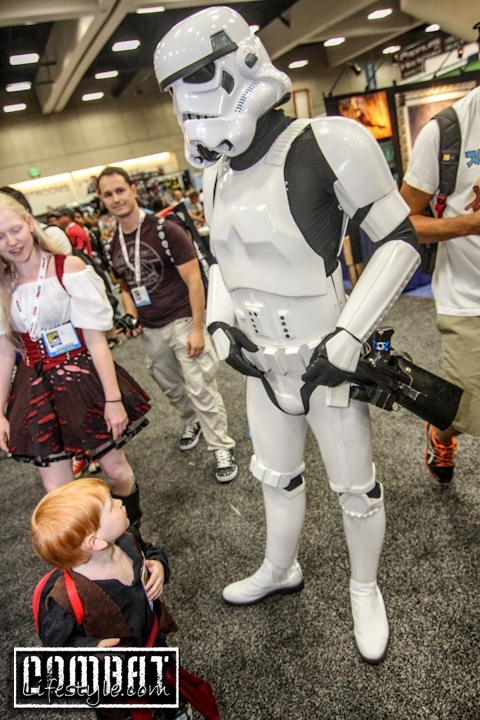 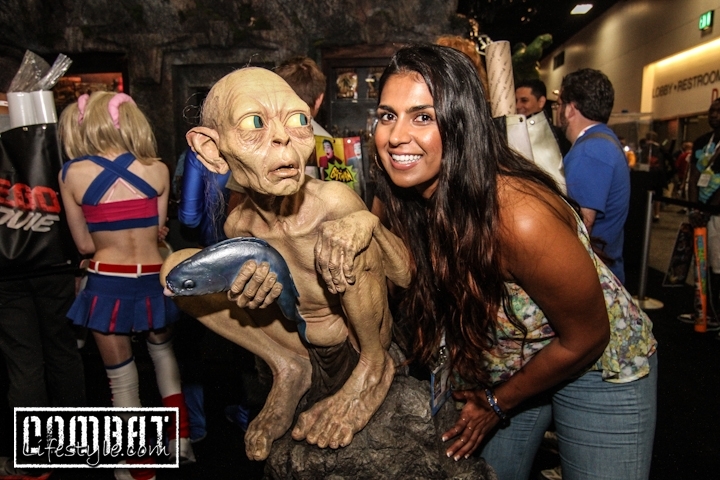 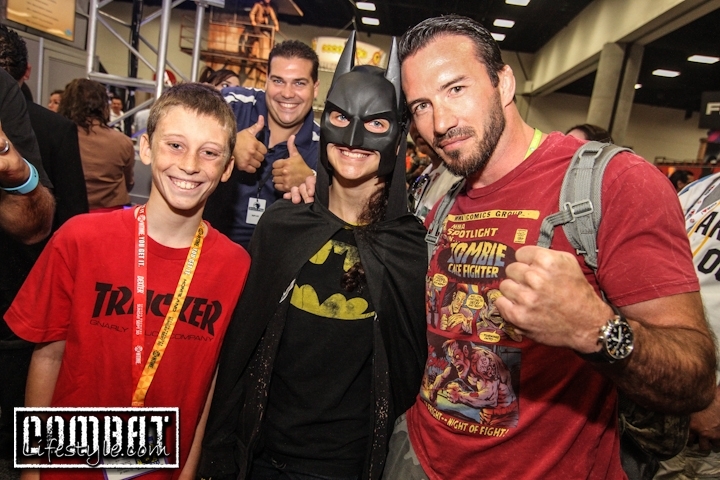 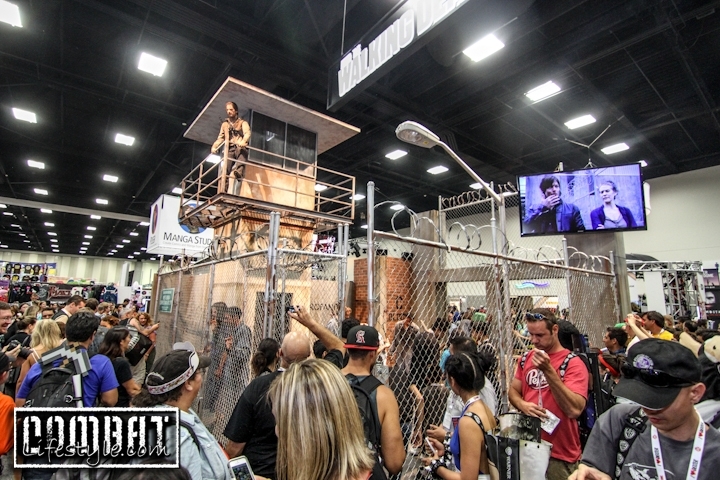 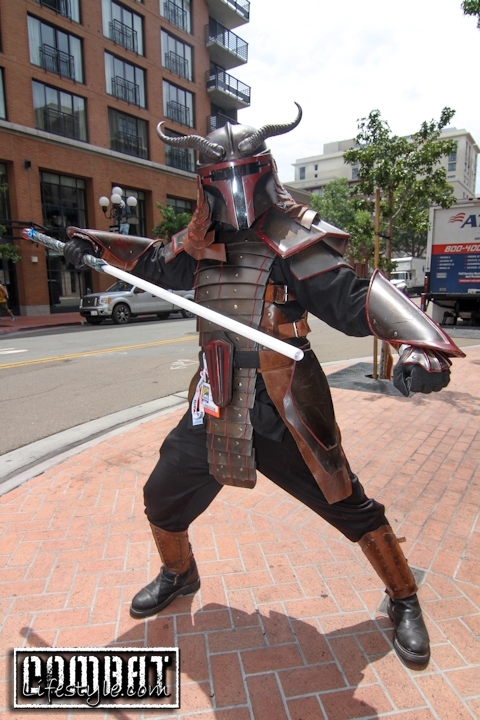 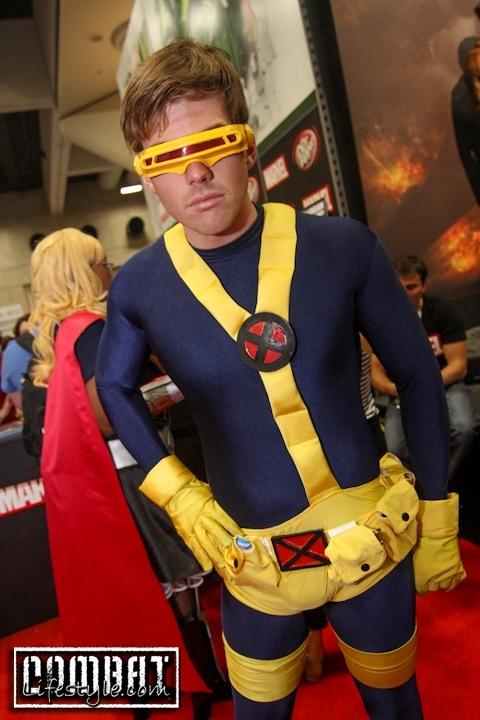 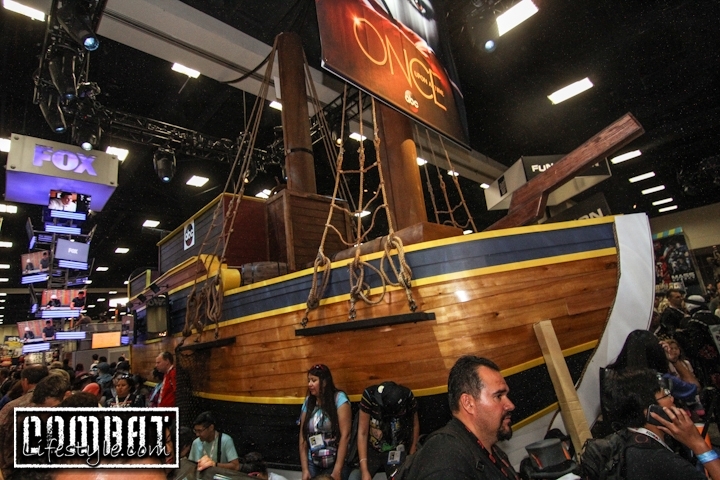 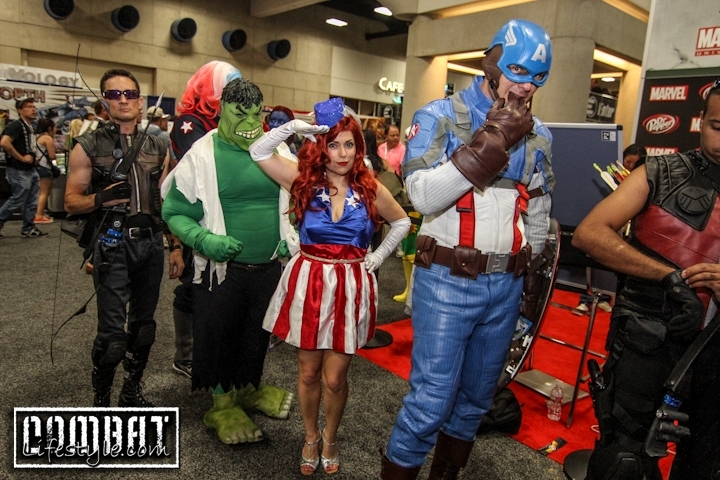 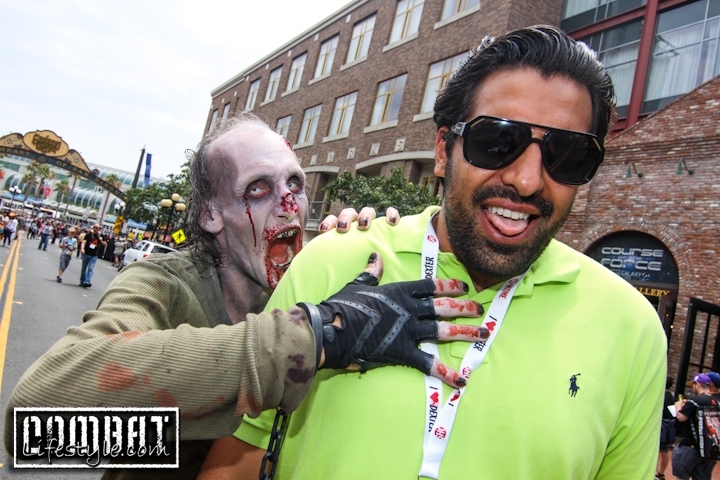 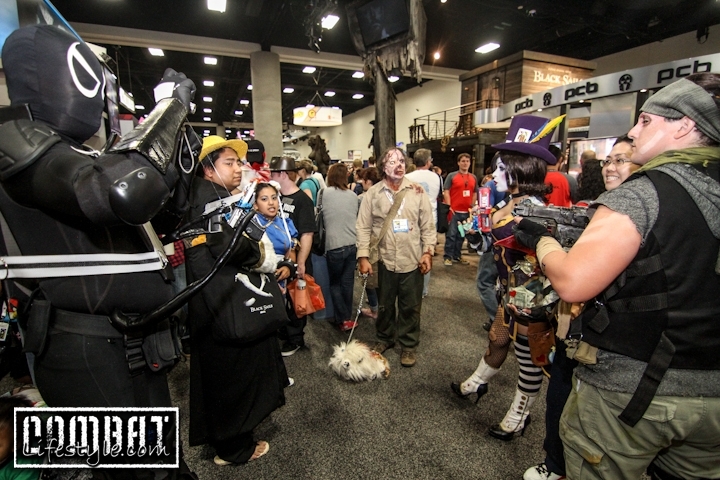 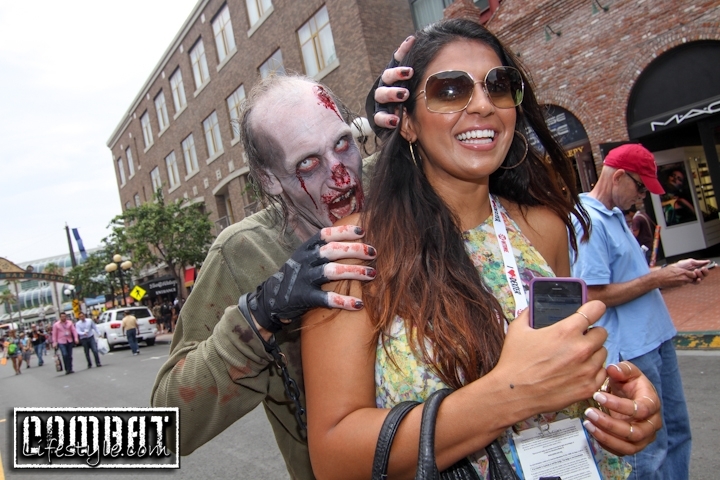 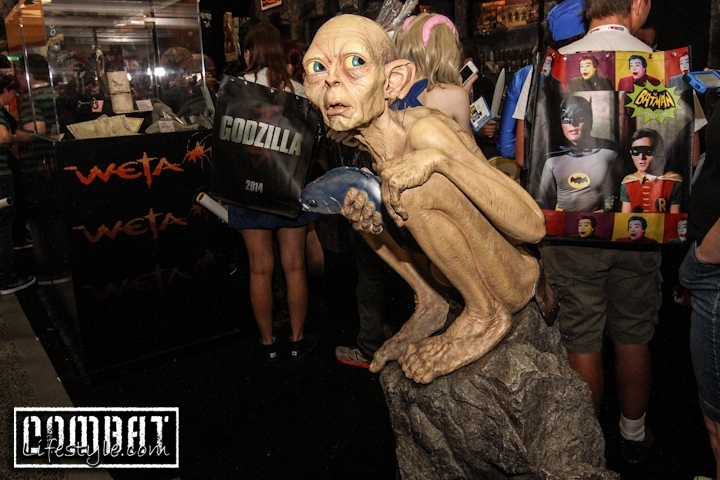 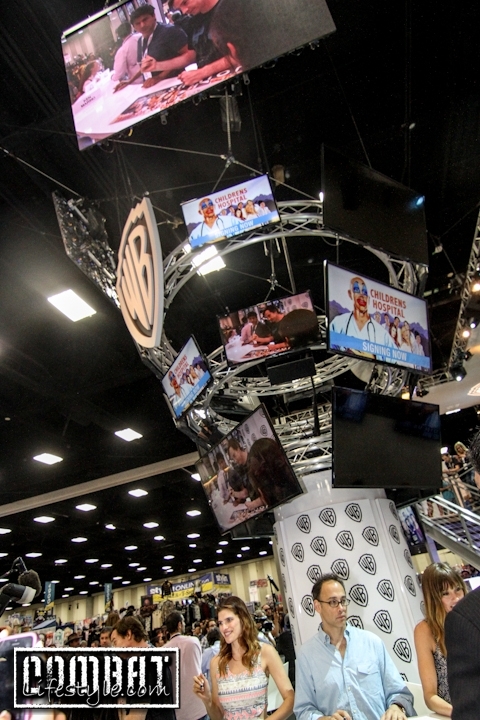 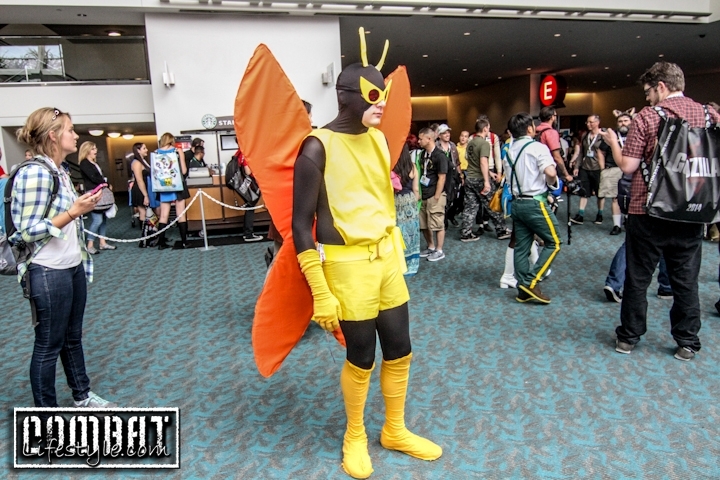 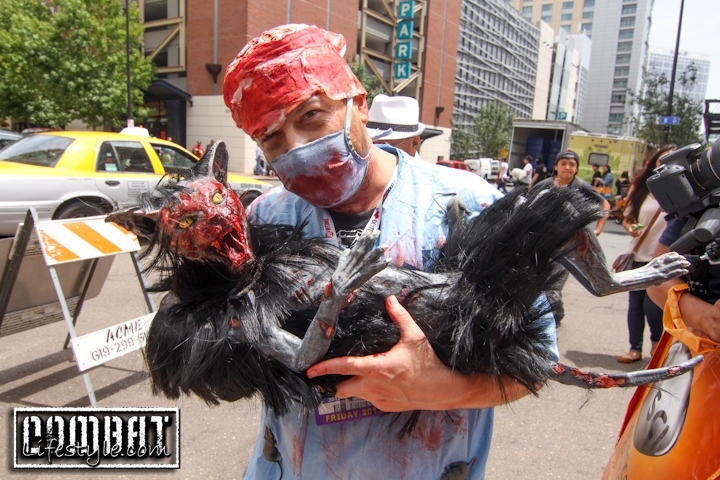 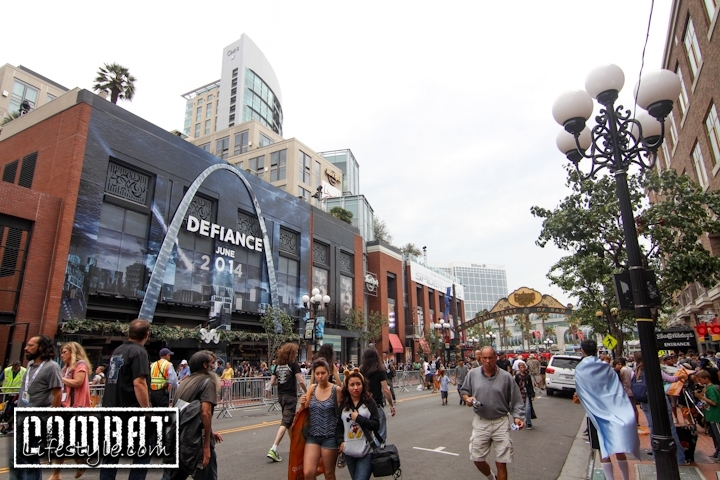 Fun times in San Diego at Comic Con 2013; check out the photos and tell us about your experiences in the comments below!